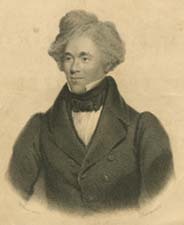 Moses Roper, b. 1815 Narrative of the Adventures and Escape of Moses Roper, from American Slavery. With an Appendix, Containing a List of Places Visited by the Author in Great Britain and Ireland and the British Isles; and Other Matter. Fugitive slaves -- South Carolina -- Biography. Fugitive slaves -- Travel -- Great Britain. Racially mixed people -- North Carolina -- Biography. Slavery -- North Carolina -- History. Slavery -- South Carolina -- History.